Mobile vets are licensed and must have their facilities — usually a clinic on wheels — inspected regularly, just like a regular vet clinic. Many varieties of mobile veterinarians exist, and a mobile vet’s services run the gamut from conducting monthly neighborhood clinics for spay and neuter services, to bringing state of the art equipment to your door for full-service pet care, and everything in between. 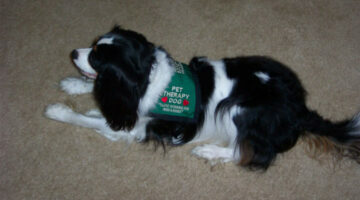 Therapy Dogs – Does Your Dog Have What It Takes To Get Therapy Dog Certification? If you’ve always thought that your dog would make a good therapy dog, here are some things to think about — plus a listing of the requirements for dogs and owners to become volunteers and therapy dogs. 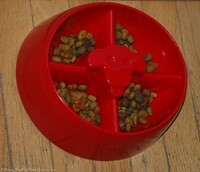 We began with the Peanut Butter Puppy Poppers homemade dog treat recipe. It’s very easy, only 4 ingredients. 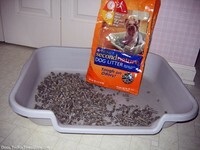 Then the Bacon Bits for Dogs recipe — I never met a dog that didn’t like bacon. Finally, we tried the Canine Carrot Cookies — my dogs adore carrots. Then made our own homemade dog treats. We call our recipe: Peanut Butter Puppers. Time passes much too quickly, and ultimately we dog lovers have to face the fact that our time together is winding down. The day will come when decisions — like putting your dog to sleep — have to be made that are never easy. A little planning ahead now will help. Take it from me… over the years we’ve gone through this 7 times. Sometimes it was a no-brainer. Other times, it wasn’t. 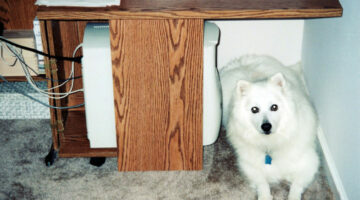 Senior Dog Care Tips: Things To Do Early! The senior dog years can be hard — on both the dog and the owner. But there are many things you can do to keep your older dog with you and feeling as good as possible for many years to come. Here’s what to look for in terms of your dog’s weight, energy, and behavior issues as he approaches old age. 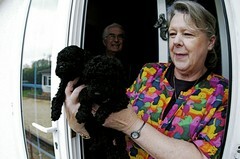 If your dog spends most his time indoors then it’s easy for his toenails to get too long. If you hear your dog’s nails click when he walks on a hard floor, it’s time for a trim! Here are a few things you can do to make your dog’s nail clipping day a pleasant and even enjoyable experience for both you and your dog.